Super Fine 2 mm 1/8" 3/8"
Fine Fine 2.25 mm 3/16" 1/2"
Fine 2.50 mm 3/16" 9/16"
Narrow Medium 2.75 mm 1/4" 5/8"
Medium 3 mm 1/4" 3/4"
Common 3.50 mm 5/16" 7/8"
This product is for chairs that have holes around the perimeter of the seat. 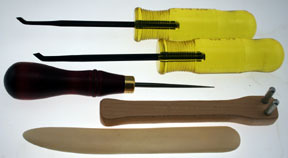 We have 6 different sizes of chair cane kits. To determine which size is right for your chair, measure the diameter of the holes, and measure the distance between the holes, center to center. Then select the size that matches your chair from the 6 kits below. 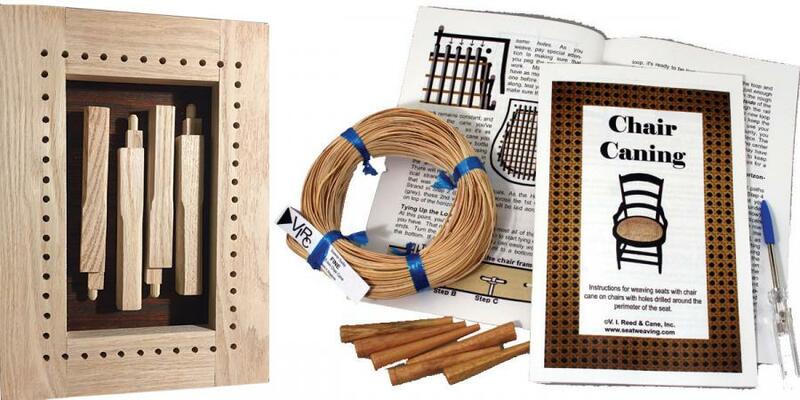 These kits contain enough chair cane for a woven seat that is 12 x 12". 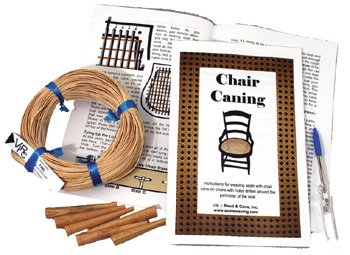 If your seat is larger, order 1 chair cane kit and 1 coil of 270' in the same size cane. If your chair seat has a groove around it, you need a Cane Webbing Kit. Remember our GUARANTEE: No questions asked. 100% money back guarantee. "If you don't get the results & quality that we guarantee, we'll gladly give you a complete refund of your full purchase price.."